In the winter, my lips get extremely dry especially after being in the office all day. I always have some sort of chapstick with me no matter where I go, I also have a bunch of eos balms laying around – one stationed at my office desk, one on my living room coffee table, one by my bed, one in the bathroom and one in my purse. But times like this I long for something stronger, more moist and hydrating than my standard lineup. I’ve been overlooking this little pod of Sisley lip balm for a long long time mainly because you have to apply with you finger which to me is a real inconvenience when you’re out/traveling/driving. Recently I decided to revisit this pod because I figure if I like all their other products so much, why not give this a try? After using it I have to say, this little thing is seriously amazing! 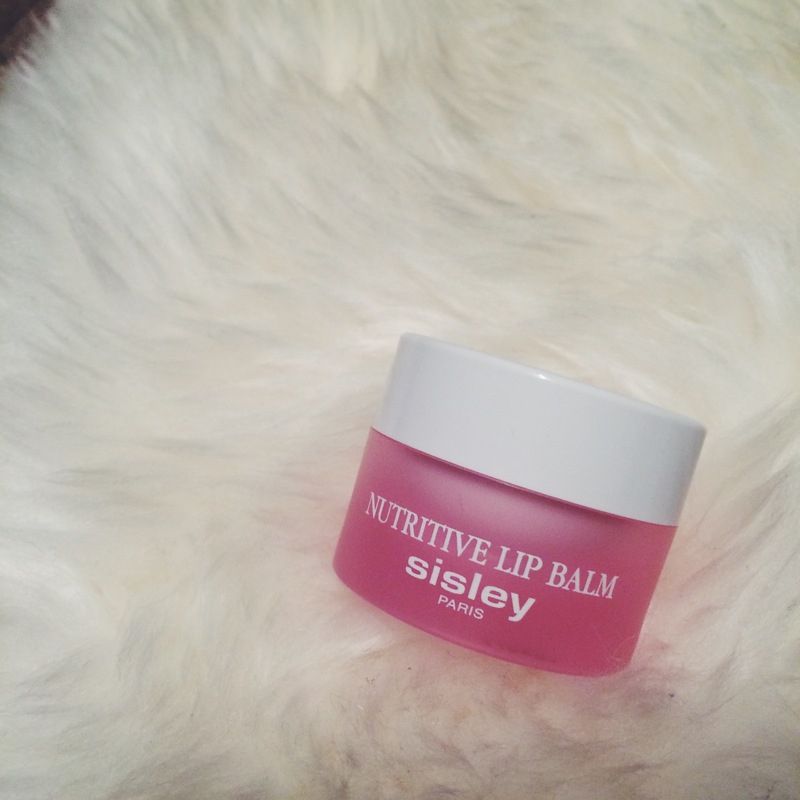 I now apply it every night before I go to bed because it keeps my lips hydrated throughout the night and into the morning. It’s very soothing, super long lasting, and the texture is not greasy but instead very buttery and comfortable on the lips, I love the fact that it doesn’t feel like there’s a heavy layer over your lips. I can’t believe I waited this long to try it, but I’ve come to really appreciate it. Definitely recommend it to everyone that’s suffering from the winter chapped lips. I actually have never tried to exfoliate my lips! My lips are really sensitive and the thought of scrubbing them with something rough makes me cringe… I know I should and it’s good practice to do it every now and then, but I haven’t had the courage to do it yet. I do want to try eventually, just have to find the right product that is less intimidating for me I think. Ohhhh that’s good to know. I need to invest in a thing of coconut oil, so useful in so many ways! Haha yea I got the big pack from Costco so I have backups if one do go missing.